As of March 31st, Jack Trenton, the Sony Computer Entertainment of America CEO is stepping down. This was a mutual decision by Tretton and SCEA to not renew his contract after 19 years at SCEA. 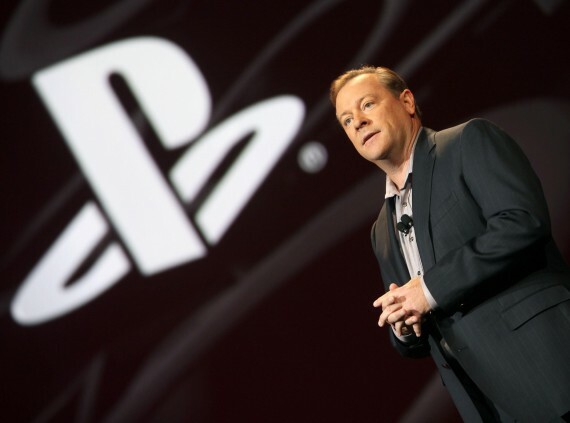 Jack Tretton has seen four PlayStation consoles launch with his time at Sony, and with this past E3, became the gamers CEO, closing the Sony event to massive applause. He has taken his fair share of criticism, especially during the early life of the PlayStation 3, but has always had this humble appeal. I have always had a liking for Jack and his interest in gaming and the PlayStation brand. There are some CEO’s in this industry that come from the outside and lack the qualities Jack has displayed over the years. He will be missed in the indusry and we here, wish him the best of luck on any future endeavors. Current COO of SCEA, Shawn Layden will be moving to the CEO vacancy. Layden is a 15 year veteran at PlayStation. He will assume the roll on April 1st. 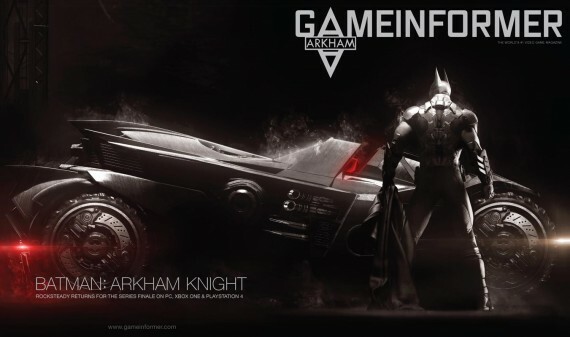 Game Informer has revealed their April cover and the Dark Knight is in tow. Rocksteady’s latest Batman opus is titled Batman: Arkham Knight and will be set in a much larger, more open Gotham; complete with Batmobile access. The game will take place one year after the events of Arkham City and will focus to end the story arc created within the Rocksteady universe. Scarecrow seems to play the main villain this time around, but as we know with previous entries, that may not be the way it plays out. The game will be released this year, which is a bit early after Arkham Origins released last fall, but Rocksteady has had since late 2011 to plan and produce an epic final chapter. The game will be out on the PlayStation 4, Xbox One, and PC. Do you notice something missing? No Xbox 360 or PlayStation 3 release. The other elephant in the room is no Wii U release as well which is in the same generation as the Xbox One and PlayStation 4. Though the upswing with this being on the more powerhouse consoles, and not cross generation, is that we may have a true next gen game on our hands. Once I find out more details like voice actors, composers, plot, and gameplay; I will pass that information along. The above picture is from the April issue of Game Informer and is quite lovely, may make it my wallpaper. The official video is below, enjoy! Sony has announced its next CGI animated film, Sly Cooper. Ratchet & Clank was announced last year, this year we have Sly Cooper, hopefully next year we get a Jak & Daxter film rounding out the PlayStation 2’s platforming trio. The film is being developed by Blockade Entertainment and Rainmaker Entertainment, both who are behind the Ratchet & Clank adaptation. The first thing you will notice is the art style is a bit different, and they are wearing pants. Though I am not completely sold on the art style yet, it may grow on me, the trailer definitely captures the feel of the games. Another thing fans of the games may notice is that Chris Murphy (Murray) and Matt Olsen (Bentley) seem to be reprising their roles, as for Sly, it doesn’t sound like series regular Kevin Miller. The voice is close, but not enough. I got into the series late, I bought the HD collection and Thieves in Time on the PlayStation 3 and enjoyed the games immensely. The movie will be in 3-D and conventional 2-D as well and will release in 2016. I am curious if this and Ratchet & Clank score big in the box office and are received well critically, could they change the tide for video game based movies? I am pumped for both movies, check out the trailer below. The latest in Square Enix’s venerable franchise hit in demo form yesterday on the Xbox Live Marketplace and the PlayStation Network. The demo clocks in at just over 1 GB and offers a somewhat lengthy taste of new battle system and garb swapping. After finishing the demo yesterday, I walked away feeling confused; but in a good way. The battle system is good fun, switching from an active system to real time is a welcome change and feels much more engrossing. The garb swapping system is fine, switching between roles on the fly adds some great strategy into the mix, but having Lighting change costume constantly is a bit disorienting at first. The garb system customization is fantastic, leaving you to really put a custom touch on Lighting and her apparel. The story, at least the snippet from the demo, has me confused. 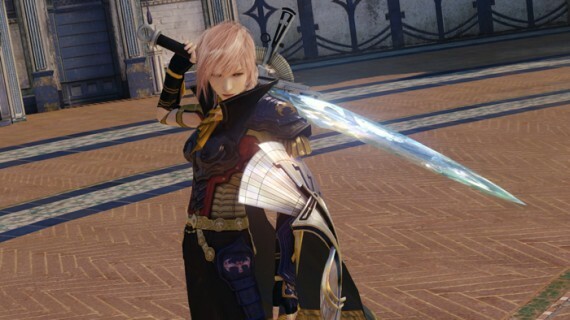 It could be that I have XIII and XII-2 finishing the first and a couple hours in on the second; but wow I am a bit lost. Is Square Enix’s writers following the narrative book written by Hideo Kojima? Despite me being a bit lost, I had a lot of fun with it. There is a bonus to had for downloading the demo. 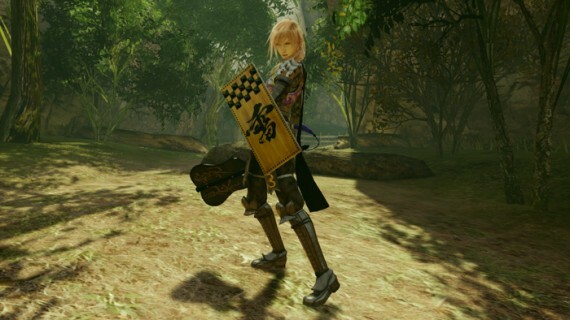 On the Xbox 360 and PS3 if you upload your battle scores to the outerworld, the online social network, you score the Siegfried garb, pictured above for the full retail game. 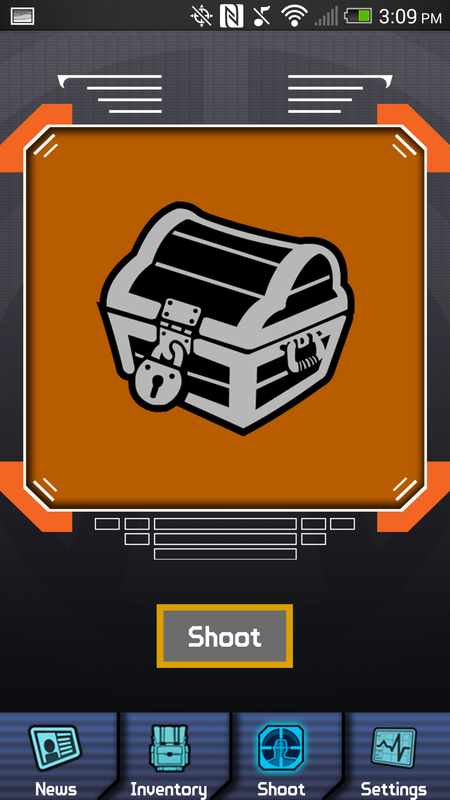 There is one other bonus for you PlayStation 3 players as well. if you just download the demo you will score the Utsusemi Samurai garb, which is pictured below. 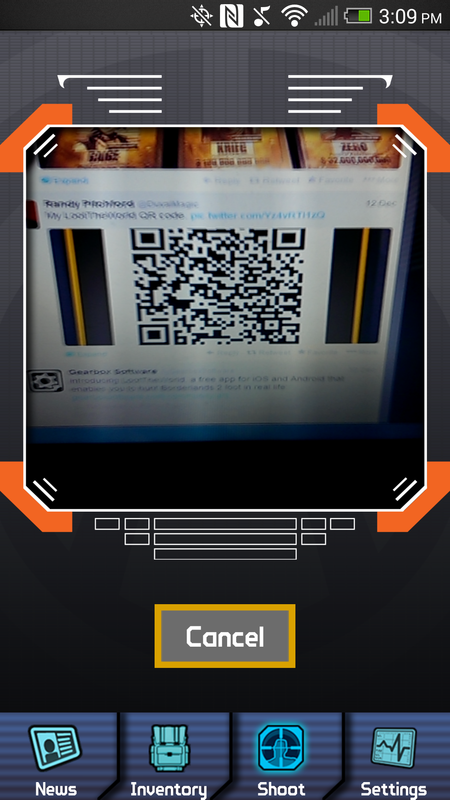 All you have to do is download the demo and you have it for the retail game, easy and simple. The full retail game will release on February 11th, 2014. Post Holiday Numbers, They Might Surprise You. 1 Comment on Post Holiday Numbers, They Might Surprise You. Here we are in the first full week of 2014 and the holidays have come and gone. There were two brand new console launches at the end of the last year after the longest console cycle in the history of the industry. All three parties, Microsoft, Nintendo, and Sony all posted good numbers, in some cases, depending on region. Lets take a look at the numbers by company. 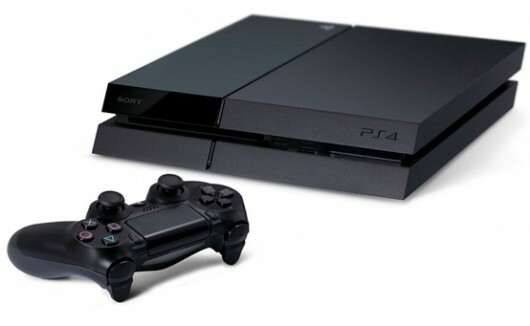 Sony – Touting huge numbers since the launch of the PlayStation 4, one million in the N.A. on launch day, they finished 2013 with a staggering 4.2 million units sold. In the same time sold 9.7 million units of software, both digitally and physical, and had a 90% percent increase in PlayStation Plus memberships. Now that last number needs to be taken with a grain of salt, the PS4 now requires PS+ to play online and there was a 14 day trial pass included with the console. None the less, with the free titles across all the Sony platforms, PS+ pays for itself. Congratulations Sony. Microsoft – Microsoft had an impressive end to their holiday as well with a grand total of 3 million Xbox One’s sold worldwide. It was unknown how much of the PR blunder that happened this past summer and being $100 more expensive than the competition would effect numbers, we are seeing the result. 3 million is quite an impressive number and congrats to Microsoft on a fast start, it will be interesting to see more of a breakdown once the December NPD numbers come in and Microsoft will go over their own sale data on the 23rd. Nintendo – The little engine that could, is finally producing, in Japan at least. The 3DS and Wii U had strong performance ending the year in the Japan with the 3DS and Wii U outselling everything else, but here is the catch, the PS4 is not out yet in Japan. The Legend of Zelda: A Link Between Worlds was the top in the post holiday week as well as four other 3DS games and three Wii U titles. The numbers came from the Japanese magazine Famitsu via Games Industry International. It will be interesting to see what happens to the Wii U once the PlayStation 4 launches in Japan, which will happen in February. Japan has been primarily good to its home grown companies, supporting Nintendo and Sony, while leaving Microsoft struggling in every way possible. It is unknown what Nintendo did this holiday in the States, we may have to wait for the NPD numbers to determine, I know I bought Wii U and 3DS software, so did my family as well as a Wii U. Happy New Years to all, this coming year starts off with a bang on the consoles. There are plenty of free games to be had in the first month of 2014 and show off some of the best games of the past year and a half. Xbox Live’s Games with Gold is finally paying dividends for being, well lackluster for many months. Though I have both the games that are available, but very happy more people will get to play them. PlayStation Plus is giving us 3 games for the PS3 that are some of my personal favorites from this past year. The Vita and PS4 offerings are a bit light, though there could still be some to be had. Here is the list of what you will get, and again, these are in no particular order aside from the Xbox 360 titles. January 1st-15th – Sleeping Dogs – What used to be True Crime Hong Kong, was dropped by Activision only to be later picked up and published by Square Enix. This was one of my favorite titles of 2012. United Front pulled off the perfect open world kung fu movie, with likable characters, a great combat system, and a fresh location. If you have yet to play this game, I implore you to give this a try. The game sold moderately well, but was still considered a success. This game alone is worth the $9 a month for Xbox Live, Microsoft has done well by offering this stellar title. January 16th-31st – Lara Croft and the Guardian of Light – Coming from the 2010 Summer of Arcade, this title is bit of a departure for Lara. Guardian of Light is a cooperative twin stick shooter/adventure title. I have been waiting since 2010 to play this great title with some of my friends, and now it will be free. The game features online co-op, it is a blast despite the odd genre for the venerable heroine. 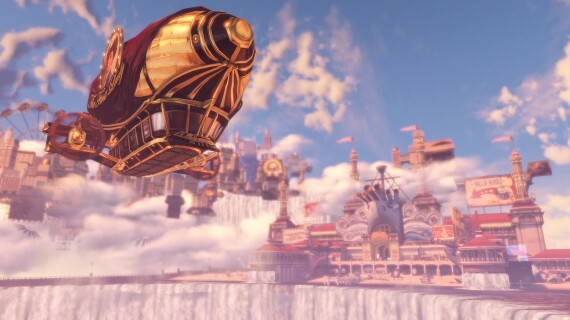 PS3 – Bioshock Infinite – There is nothing that I could say to make this game more appealing. Download it, play it, love it. Now, to be fair, it is a bit more combat heavy than Bioshock 1; but the story will definitely catch you off guard. Also, this game needs to be played for Elizabeth, she is one of the most endearing characters of the year. PS3 – DmC: Devil May Cry – I review this game earlier this year, and aside from a few minor faults, I felt this was as good, if not better than previous entries. The combat is strong, the soundtrack is amazing (Nosia and Combichrist), and the art style is fantastic. If you have PS+ and are a fan of the Devil May Cry series, please give this a shot. Ninja Theory is one of my favorite developers that spawned from this gen (well formerly Just Add Monsters), and this is one of the their best efforts to date. Put the old Dante aside and give it a go. PS3 – Brothers: A Tale of Two Sons – This game was a title in Microsoft’s Summer of Arcade this past year, and landed on the PSN a month later. The game is developed by Starbreeze Studios, another of my favorite dev teams (Riddick titles, The Darkness, Syndicate (2012). 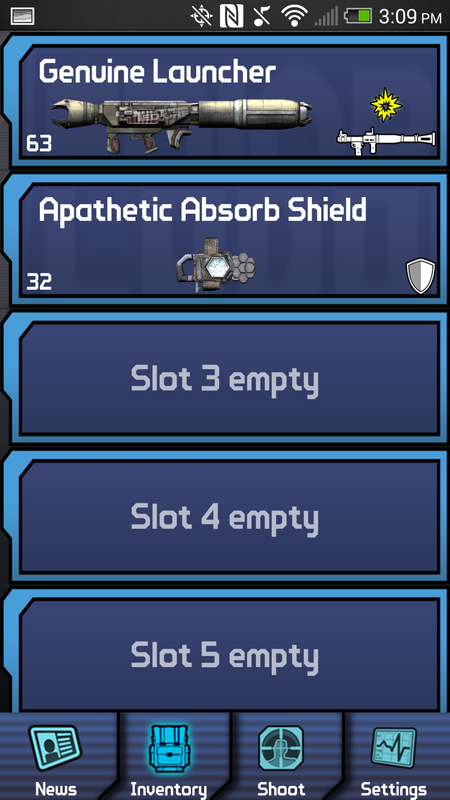 I recently bought the game during a sale, and it is something that should be experienced by every gamer. The game was co developed with Swedish Film director Josef Fares, and has you controlling two young brothers as they go on a quest to save their dying father. The controls are unique, as you will be controlling each brother with the analog sticks, and their actions with the triggers. The game is as emotional as Bastion or Limbo and hope you check out this wonderful title that may have flown under your radar. PS Vita – Worms: Battle Islands – Worms is always great, it’s on the go, and require very little from your memory card; sold. The Spike VGX was this past Saturday. What is the VGX you say, well it is what replaced the Video Game awards shows of the past, for better or worse. The award show was very hard to watch, more than normal. But out of the train wreck comes something very unexpected, and for the better. The 4 guys over at Hello Games (famous for Joe Danger 1 & 2) have pulled the lid off their newest project, No Man’s Sky. No Man’s Sky is a mix of space/FPS combat and exploration, but with a twist, every world is procedurally constructed. Procedural is built by algorithms instead of constructed by hand, which most games typically are. One game that has procedurally created worlds is Minecraft. The other catching tidbit to No Man’s Sky is the travel and exploration, if you see a planet or moon, you can travel there and be the first to discover. them. The game is an MMO of sorts with every player in the same galaxy starting on the edge and working inward towards the center. There are still plenty of details that are being kept under wraps, but from the video alone, this has me extremely intrigued. Seeing the seamless transition from planet surface to space is jaw-dropping. The game has no release date, no specified platforms, but from the No Man’s Sky Wikipedia page (no the most reliable) is showing PS4, Xbox One, and PC. Hopefully it hits all platforms but this is being built by 4 guys in Guildford, UK, but man even if it hits only one, it sounds and looks fantastic. 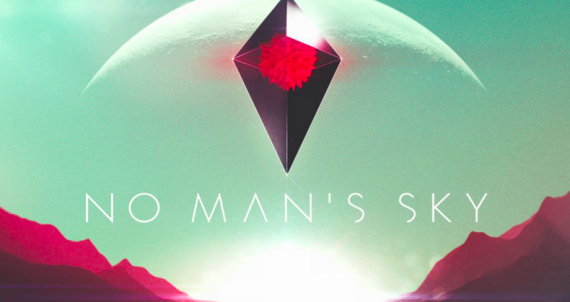 Enjoy the first look at No Man’s Sky. Games Industry International is reporting that id co-founder and Doom developer, John Carmack, has left the developer. Carmack recently became involved with Oculus VR, the company responsible for the Oculus Rift VR head set. With his departure from id software, he will be taking a full time position as Oculus VR’s CTO. Carmack has had a huge influence in the industry and technology. 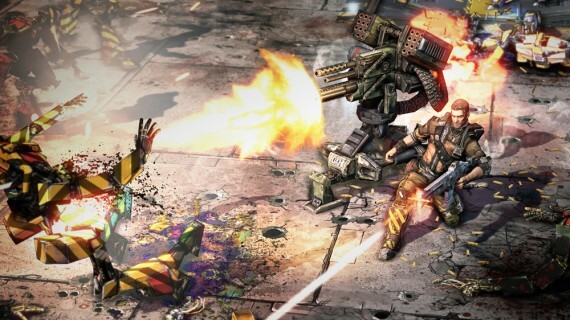 id’s latest title, Rage, may have lacked in the story and fun department, but there is no denying the tech behind the game was nothing short of impressive. 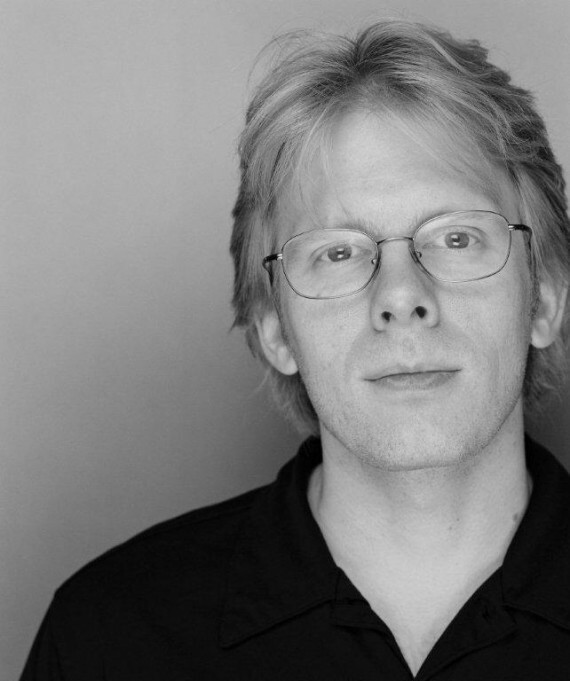 id and Carmack have always pushed technology with each new title the studio has released. John Carmack is one of my favorite lecturers and hopefully he will make appearances at Quakecon going forward. We wish Mr. Carmack nothing but the best in this new endeavor and what will come from his time at Oculus VR.